The American First Day Cover Society has chosen Columbus, Ohio, for its 2015 show and convention. Americover 2015 will celebrate the society’s 60th anniversary. The official hotel rates for every Americover have been below $100, and that will be true for the 2015 edition. 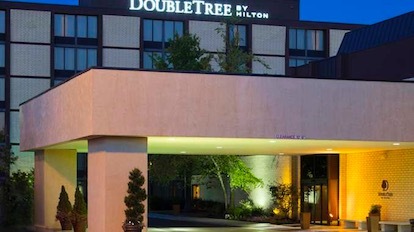 Americover 2015 will be held at the DoubleTree Columbus-Worthington August 14-16, 2015. 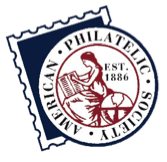 That is the weekend before the American Philatelic Society's StampShow in Grand Rapids, Mich. — about a five-hour drive for collectors and dealers who wish to attend both. There will be a special room rate of $99, including Internet, for Americover 2015, good from Wednesday through Sunday nights. Parking is free. Although Americovers run for three days, there will be a special tour on the preceding Thursday and a post-show dinner event Sunday evening. This is the AFDCS’ first time back in Ohio’s capital since its convention in 1992, but it is a strong area for first day cover collecting and the AFDCS has done well at the APS shows in Columbus. All Americovers are World Series of Philately shows dedicated to first day covers and the fun of stamp collecting. Locations move around the country, often at a venue within a reasonable driving distance of APS StampShow.